Our vision is empowering education through technology. Our mission is to help students succeed in school and life through the use of our products and services. Backbone Communications has been an educational service provider for 20 years. 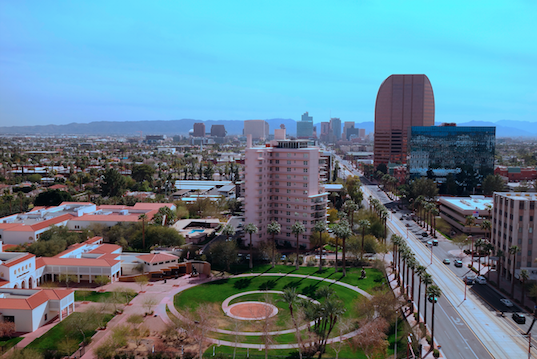 Our headquarters are located in Phoenix, AZ with regional offices in Nevada, California, Utah, Colorado and New Mexico. Our staff is made up of educators with many years of teaching and technology experience, providing solutions that help all students whether they are below, above, or at grade level. Our vision (Empowering Education Through Technology) and our mission statement (To help students succeed in school and life through the use of our products and services) drive our decision making. Backbone’s solutions are respected by industry experts as some of the best technology tools available. All technology and software tools are scientifically demonstrated, research-based programs that help students succeed. In addition, Backbone’s on-site professional development programs can offer an array of practical solutions ranging from utilizing technology to support student growth, differentiated instructional strategies, reading intervention, project-based learning, classroom management, and more. Superior customer service and proven professional development strategies are reasons why Backbone Communications continues to be schools’ source to increase student achievement. 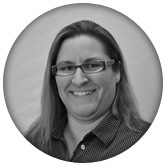 Leah started Backbone Communications in 1999, believing that making the up-to-date and proper learning tools available to larger numbers of students would be doing the most for the most students. She has an undergraduate degree from Arizona State University in Political Science and a Masters Degree from Northern Arizona University in Educational Leadership. She is a member of the following organizations: Women & Philanthropy – ASU Foundation for A New American University, Honor Society of Phi Kappa Phi at NAU, and NAPEW, National Association of Professional & Executive Women. She has experience in the classroom as a Job Developer/Placement Teacher working with adults with Learning Disabilities as well as with Foster Care students. Before that she worked as a Client Care Worker with violent offender boys age 12-18 years old. Leah had the honor of working with Senator Jon Kyl while in college at ASU, and followed that with a job with the Arizona Board of Supervisors. Using the tools that Backbone Communications represents will enable students to reach goals and dreams they may not have thought possible. 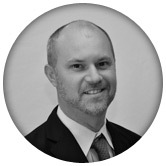 Josh Leitz has been with Backbone Communications since January 2005. After receiving his Concurrent Bachelor’s Degree in Business Marketing and Business Management from ASU, he pursued his K-8 Post-Bachelor’s Education Degree from Ottawa University. He was a classroom teacher for grades Kindergarten through 8th grade and used technology with his 5th & 6th graders in order to differentiate the curriculum and provide appropriate content to his many students with Individualized Education Plans (IEPs). When Josh joined Backbone, he began meeting with schools, assisting in implementation, and training teachers and administrators on various software tools. With today’s competitive marketplace, Josh is passionate and committed to helping students realize success and achieve permanent gains by providing the students the right content at the right time. BJ joined Backbone Communications in 2001. He has a CIS & Marketing Degree from NAU. BJ has experience working with technology and training with schools providing Internet solutions. His determination and drive in training teachers, consulting administrators and supporting the BBC Account Managers stems from his true goals – to help make schools successful. 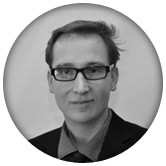 His experience has taught him the keys to a successful software implementation. Learn how to avoid the common mistakes and make your investment worthwhile. By following Backbone’s implementation plan, Administrators and Teachers know what is expected of them and can now measure its effectiveness. Matt has been in education since receiving his Bachelor’s Degree in Elementary Education from Northern Illinois University in 2000. He was a certified teacher and taught for 7 years in the Phoenix area. Outside of the classroom Matt served as Technology Coordinator, Curriculum Specialist, and AIMS Test Coordinator at different schools. He also coached various girls and boys sports before joining Backbone Communications. 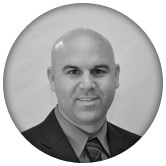 He is currently finishing his Masters Degree in Educational Leadership. Matt uses his classroom and leadership experiences to help schools implement and use software as a powerful educational tool. After receiving his B.S./B.A. 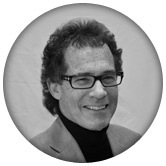 in Marketing & Management from The Ohio State University, Steve spent almost 20 years in the Fashion Eyewear Industry. As Vice President of Sales and National Accounts Manager, Steve was responsible for building Liz Claiborne, I-Ski, Suncloud and private label programs for Dillards, Foleys, J.C. Penney, and the Ski Areas throughout the Southwest United States. Upon the sale of his company, Steve was approached to help the owners of Backbone Communications to help students and teachers in Nevada. Steve’s enthusiasm for healthy self esteem for kids, his volunteer work in that area for over 20 years, and his excitement in seeing his oldest son Josh succeed as a teacher and educational software professional helped Steve decide to join the Backbone Team in 2007. Steve looks forward to working with each one of you, to specifically tailor an Education Implementation Plan to help meet your goals. 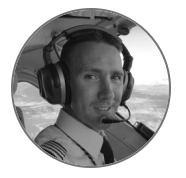 Anthony has been a pilot since 1996 and earned his Commercial Pilot Certificate & B.S. in Aviation Technology from Andrews University in 2001. He applied his passion for flying and education as an instructor pilot for the Air Force Auxiliary – Civil Air Patrol. After almost a decade of service in search and rescue and Cadet Aerospace Education programs with CAP, he transitioned to civilian applications including instrument/commercial flight instruction, arial mapping, airborn logistics, FAR Part 135 Operations, and even Skydiving. In 2012 Anthony moved his family to Colorado to accept a position with Propel Aircraft as the New Aircraft Delivery and Transition Training pilot for Textron Aviation’s Rocky Mountain Region. There he was responsible for a four state territory including Colorado, Utah, Wyoming, and Montana. With relevant experience in hand, Anthony upgraded to Captain for FedEx flying the CE-208B Grand Caravan, an aircraft purpose built by Textron Aviation specifically for the Feeder operations of FedEx Express. He now lives in Casper, WY with his wife and six children, and flies a scheduled route between WY and NE. Anthony is very excited to be joining the Backbone team representing some of the most forward thinking educational technologies available in today’s modern classrooms. With tools designed to give students the skills they will need to be competitive in the technologically advanced job markets of tomorrow, he looks forward to helping you find solutions that help your students thrive. Brian earned his Bachelor of Arts in Education, Interscholastic Coaching Certificate, and Certified Strength Training Certificate from the University of Nebraska at Kearney. 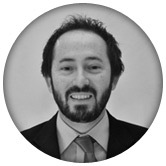 Brian has been involved in education as a classroom teacher or educational technology consultant for twenty years. During this time, Brian has worked at the Youth Rehabilitation and Treatment Center in Kearney, Nebraska, Perris Union High School District in Perris, California, and Pierce Public Schools in Pierce, Nebraska. While at Perris Union High School District, Brian was selected as The Academy Teacher of the Year and Perris Union High School District Teacher of the year. Brian and his wife, Tara, have three children. They spend most nights and weekends supporting their children in their various sporting activities. Brian is a volunteer youth sports coach and is also a founding board member of the Arizona Revolution Soccer Club. LaRae Kendrick, M. Ed., is a native of San Jose, CA now living in Gilbert, AZ. She earned her master’s in Education Administration at ASU and holds an Arizona Principal’s and Teaching Certificate. 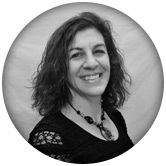 She is an experienced educator specializing in Language Arts instruction and integrating technology into the classroom. As the former Director of Curriculum Development for A+ Educators, she oversaw the design of interactive whiteboard lessons for Digital Nation. LaRae has presented countless workshops nationwide on a variety of topics such as the Common Core State Standards, the Six Traits of Writing, interactive whiteboard strategies, curriculum software applications, the Writing and Technology Connection, and iPad integration. 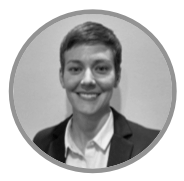 Lauren Fieman is a Pennsylvania native who earned her undergraduate degree in Public Relations and Political Science from Millersville University. Upon graduation, Lauren served as an ESL teacher in South Korea for one year. She moved to Phoenix in 2005 where she earned her Master’s degree in Secondary Education. Lauren taught Honors Social Studies for six years, served as an AVID instructor, an A+ instructor, advisor for Junior State of America, and a girls varsity softball and basketball coach. Lauren understands the ever-adapting field of education and how applying differentiated learning methods to course content allows for the most students to succeed in their education. When schools provide interactive technology and online solutions, they are offering opportunities to students which may have otherwise been unavailable. Lauren is eager to develop lasting relationships with schools and contribute to continued student achievement and the idea that all students can succeed. 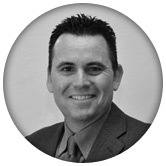 Gordon Gower has worked in education since receiving his bachelor’s degree in education from the University of Arizona in 2001. Gordon earned his middle school endorsement from the University of Phoenix in 2004. A veteran Title I schoolteacher, he spent most of the last ten years working as a 6th and 7th grade language arts teacher. Gordon is excited to be a part of Backbone Communications and is looking forward to helping other teachers implement smart, technology based solutions to increase student achievement! 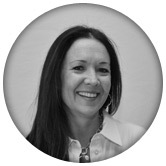 Debbie joined Backbone Communications as an executive administrative assistant in 2009. She assists the President and Vice-President in the office with invoicing, payment collections, mailings, filing, emails, phone calls so the back office runs smoothly. Being available for the staff is also a plus in helping them with various issues that may need to be resolved or verified so they can focus time with their clients. Debbie also takes care of registering the sales staff for many of the conferences and conventions throughout the year. Taking the time with customer service is important in building good relationships from the schools’ accounts payable department, vendors, or a parent. This is what Debbie thrives on, what she loves and what has always had her coming back to her customer service type positions. She has a drive and a commitment that every customer can see from emails, phone calls and texts.